Studying MBBS in the Philippines has become extremely popular among the Indian students who obviously do not wish to study an additional language as is the requirement in MCI recognized medical colleges of China or Russia. This is mainly due to the fact that, the Philippines is predominantly an English speaking country. More than 95% of its people speak the English language. Since the medical seats in China get generally filled up by the end of June medical studies in the Philippines stand a great scope. Davao Medical School Foundation Philippines and various other universities in Philippines are now recognised by MCI. Hence, the Indian students have started going to these universities, since these universities are among the top medical universities in the Philippines. Limra Educational Consultants help the MBBS aspirants to get admission, free of hassles. Compared to India, the Philippines medical college fees are much lower, which would range anywhere between 11-18 lakh. 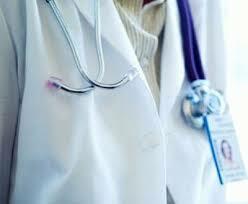 It is one of the lowest as compared to the other MCI recognized medical colleges abroad. Students find the weather quite similar to India, in fact, is more pleasant, not oppressing hot or biting cold. With reasonable cost and good weather, it is becoming a great option for students who want to pursue their MBBS in the Philippines, with the help of Limra Educational Consultants. Why don’t you contact us for further details?